Brand Names: Zocor, Simvacor. Common Simvastatin side effects include stomach pains, nausea, constipation, diarrhea, indigestion and feelings of weakness or dizziness. Some more serious –but rare–side effects are skeletal issues, which could cause kidney failure and also liver disease. Some men have also experienced breast development and impotence. 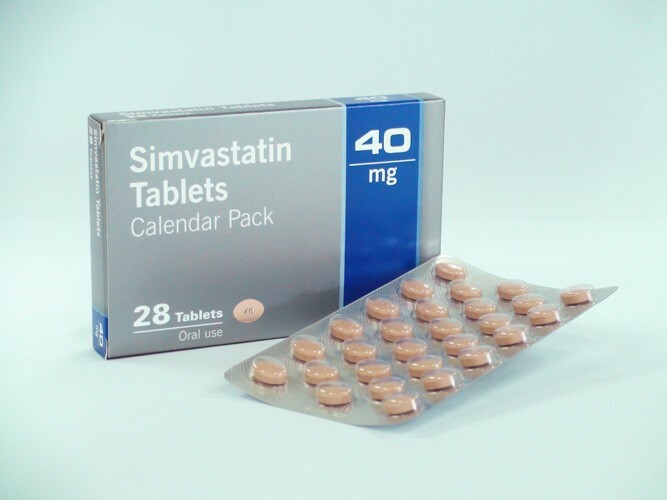 More serious side effects of Simvastatin are muscle pains, tenderness, or weakness, accompanied by fever or flu-like symptoms and dark colored urine. These side effects are linked to Myopathy, which is a disease in the muscles that lead to a breakdown of skeletal muscle tissue and eventually cause kidney failure. Another rare but serious side effect includes jaundice or yellowing of the skin or eyes, which are a sign of the liver not functioning properly. Another risk when taking this medication, as with other new medication, is a serious allergic reaction, or anaphylaxis which includes symptoms such as a difficulty breathing and swallowing, swelling of the eyes and face, anxiety, hives (or rash) and itching. The side effects of Simvastatin in men resemble the list of common side effects. However, the rare and more serious side effects include gynecomastia (breast development in men) and impotence. An Australian study showed that in 42 cases of impotence in patients who were on Simvastatin, 35 of them were not taking any other medications. However, the study also proved that these side effects were both temporary and reversible as all sexual functions were restored after medication was stopped. There are also more men than women who develop liver problems; however, men typically consume more alcohol which makes them more prone to liver disease in the first place. Although no studies have proven the risk of using Simvastatin during pregnancy, there have been some reports of birth defects in newborns that were exposed to it during pregnancy. Studies also show that women should not use this medication if they plan on becoming pregnant or are pregnant as cholesterol is needed in order for the fetus to develop properly. As for women who are nursing, it is recommended not to breastfeed while using Simvastatin. On another note, there are currently studies in progress to test the affect that Simvastatin has on women who are high risk for breast cancer. There is evidence to suggest that it might help to prevent breast cancer from growing or growing back. Simvastatin side effects in children have not been studied in any children younger than post-pubescent boys, and girls who have had their first period for over a year. That being said it should not be taken by children younger than this. No side effects other than those reported in adults have been shown to exist in these adolescents who have taken Simvastatin to treat familial hypercholesterolemia, which is a genetic cholesterol disorder. Simvastatin is not safe for specific people such as pre-pubescent children, women who are pregnant or breastfeeding, and people who have prior liver or kidney problems. 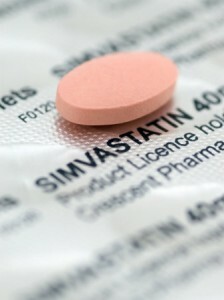 Although there are serious sides effects of Simvastatin, it has been proven not only safe by the FDA, but has also proven to prevent deaths or complications related to high cholesterol and cardiovascular diseases.